The hotel group combed through a list of more than 58,000 pubs across Britain and Ireland and found that the Red Lion is the most popular pub name, with 517 boozers branded as such according to Jurys Inn’s findings. The second most popular was the Royal Oak, which appeared 403 times on the hotel group’s list. 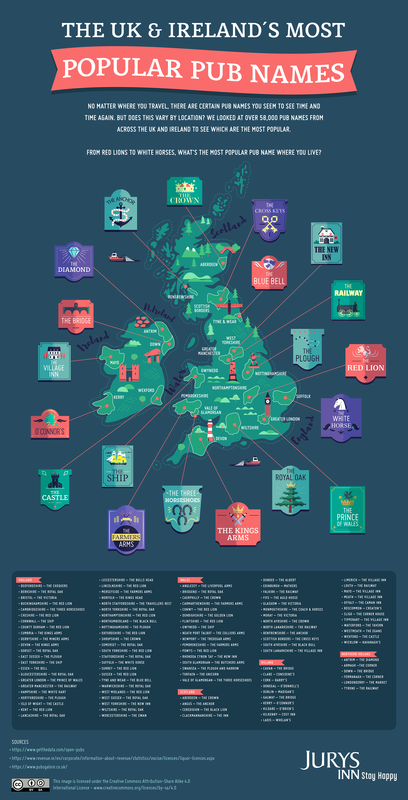 Jurys Inn has broken down the list by region with the Prince of Wales the most popular pub name in Greater London, the Railway found to be the most used Greater Manchester moniker, and the Farmers Arms the most commonly recurring name on Merseyside. The Morning Advertiser​ previously compiled its own list​ of top pub names, see how it compares to Jurys Inn's findings.